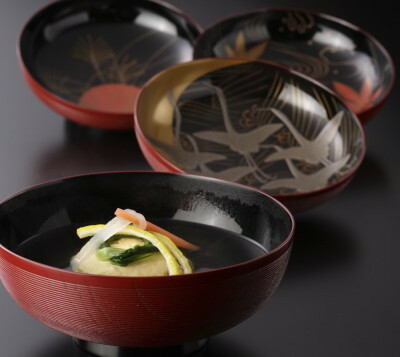 The water has mild taste and excellent quality, springing out from Kouyama mountain where “Kamowake-Ikazuchino Kami” appeared miraculously in ancient time. We had a good time with the people from “Sakurai” at “RYORIYA Stephan Pantel” today. 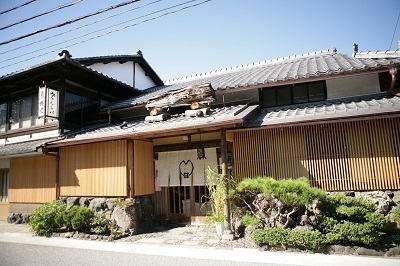 “Sakurai (ryoutei restaurant)” is located at Shake-machi of Kamigamo Shrine. 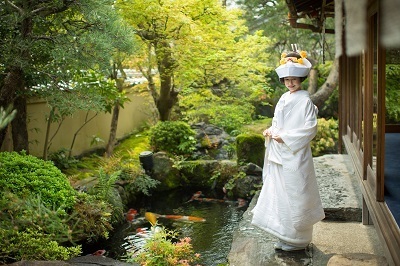 You can walk to “Sakurai” within several minutes after holding wedding ceremony at Kamigamo Shrine. It’s a ryoutei restaurant which serves superb meals in refined atmosphere and one should be impressed with the gentle character of Okami-san (the madam) and the staff. We heard that they go to Kamigamo Shrine to get “Kouyama-Yusui (natural water)” for the cooking of the meals for the wedding reception each time. It represents their hospitality and we can tell that they want to make their guests as happy as possible. Thanks for the wonderful time. We look forward to working with “Sakurai” from now on too.